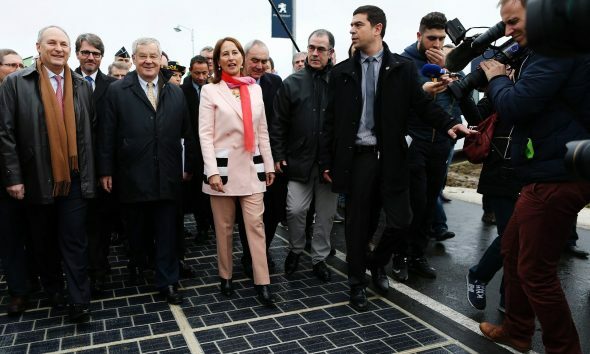 Costing approximately USD 5.2 million for construction, this revolutionary ‘green’ road has been built with Wattway technology, a technological breakthrough by construction company Colas – part of Bouygues, giant French telecoms group. The solar panels are covered with resin, comprising several layers of fine silicon sheets, making them resilient against damage and strong enough to withstand all traffic, HGVs included. Before officially opening the road, the panels were tested at four car parks across France. Output and lifespan being the two fundamental factors of consideration, this new solar road will be tested for a period of two years. During this trial run, it will be used by roughly 2,000 motorists daily, to understand if it can generate enough energy to power street lighting in the 3,400-person Normandy village. Wattway expects that this solar panel road will have the potential to generate 280 megawatt hours of power on a yearly basis, and the daily production would vary in line with the weather. They also stated that a per day electrical output of 767 kilowatt-hours is expected, which could go as high as 1,500 kilowatt-hours daily, during summer. While critics opine that this is not a cost-effective use of public money, the company says it hopes to eventually bring down the production costs of the solar panels. 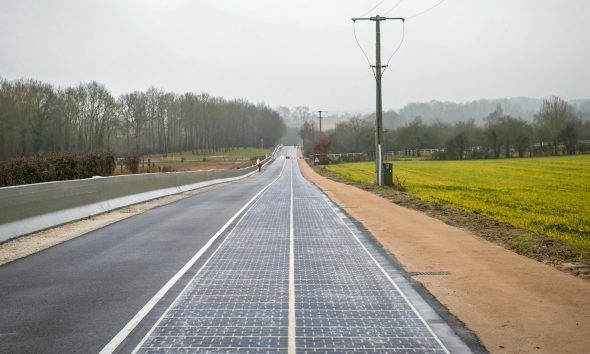 They also said that they have around 100 other solar-panelled road projects, half of them in France itself.